Bollywood superstar Shah Rukh Khan was detained for two hours for questioning at a U.S. airport before being released by immigration authorities, a news agency report said Saturday. Khan, one of the Indian film industry's biggest stars, said he was detained because his name came up on a computer alert list at Newark Liberty International Airport in New Jersey, Press Trust of India news agency said. "I told them I am a movie star," Khan was quoted as saying. The reported detention made top news on TV stations in India. Khan said he was able to message a lawmaker in India who asked the Indian embassy in Washington to seek his release. Khan was let go after embassy officials intervened, the agency said. In New Delhi, U.S. Ambassador to India, Timothy J. Roemer, said the U.S. Embassy was trying to "ascertain the facts of the case - to understand what took place." "Shah Rukh Khan, the actor and global icon, is a very welcome guest in the United States. Many Americans love his films," Roemer said Saturday through an embassy spokesman. 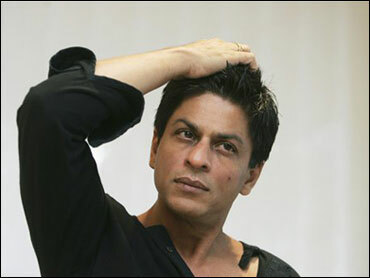 Khan, 44, has acted in more than 70 films, and has consistently topped popularity rankings in India for the past several years. He is in the United States to promote his new film, "My Name Is Khan."